Only an optimal view with true safety for the operator's health leads to good welding results. 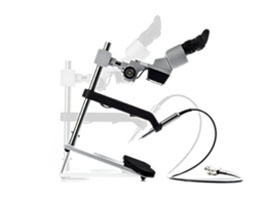 Unlike simple mechanical protection systems, the PUK welding microscope is equipped with a certified LCD welder's eye protection system that was specifically developed for Lampert. The eye protection system has decisive advantages for your safety. On the one hand, the field of view is not completely darkened during welding, which results in less eye fatigue. On the other hand, the Lampert system permanently protects your eyes from dangerous radiation (UV and IR) during welding. Even in the event of a malfunction, the welder's eyes are still safely protected! 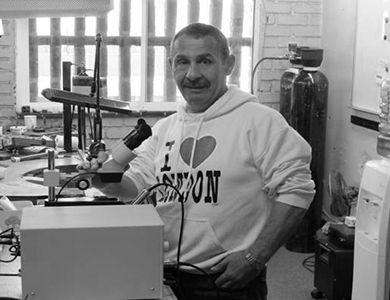 Particularly with regular or long-term welding, it is extremely important for the welding microscope to feature good ergonomics. The PUK welding microscope can be optimally set for the user and also features comfortable hand rests for relaxed and fatigue-free work. 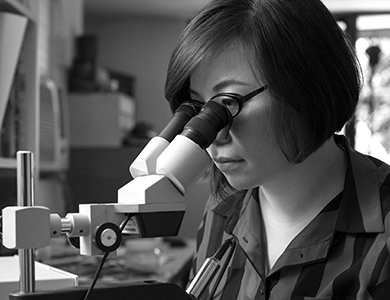 Each welding microscope can be fitted with an optionally available head rest which makes even longer periods of work comfortable. 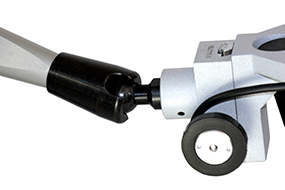 The lens of the PUK welding microscopes stands out where it really counts. 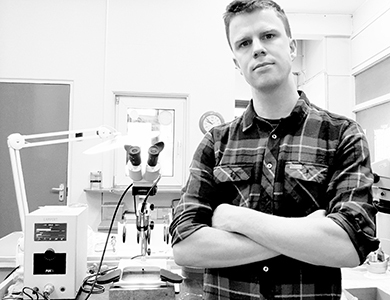 After 12 years of development we still remain convinced that there are two essential requirements for the lens of the welding microscope. A fixed 10x magnification and a large 20mm diameter field of view. That means as few mechanical components or functions as possible which can be damaged by the vibrations that can occur during welding. Here too our focus is on quality and long service life. 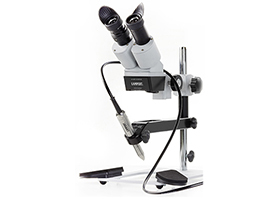 NEW: The SM5.1 can be turned in no time at all into a workplace microscope, simply by swivelling away the hand piece arm from the field of view. Offers even more flexibility at the workstation, e.g., when welding very large objects. Improved use of space in cases of limited availability. Simple to use: adjust and fix the arm via the rotary knob. 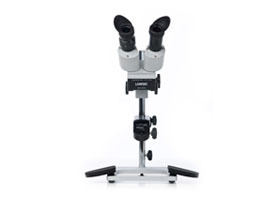 Also this microscope can be used at any time as a workplace or observation microscope. I invested in a PUK 5 welder and was able to obtain a pay back within 6 Months. 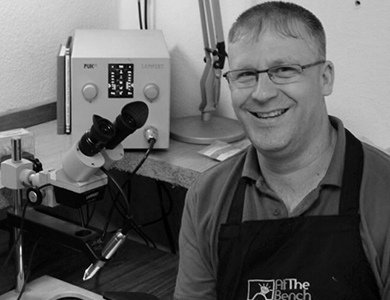 The PUK enables me to do additional repair and restoration of jewellery over traditional flame soldering methods through less heat dispersion, pinpoint control and seamless joints. I selected the PUK 5 over other welders for its quality, support service, no maintenance requirements and end welding results. The PUK proves itself invaluable – no matter the metal or alloy. I have used various models of the PUK over the past 15 years and currently have a PUK5 at my bench. I have yet to find a more versatile machine for a jeweller’s workshop. Only imagination limits application where the PUK is involved. Whether its mounting, repair work, stone setting, engraving, or otherwise, the PUK proves itself invaluable – no matter the metal or alloy. Sceptical? Drop by my workshop and see for yourself. I must say that nowadays working without PUK is unthinkable for me! I made first experience with a PUK back in 2003 in State Drawing Academy Hanau. It was the PUK111 and I instantly fell in love with it. With PUK’s help I can realize any of my ideas. It makes welding of different metals and combining them with different materials a lot easier. Especially since I often use very thin metal sheets and wires, the PUK is the perfect tool for me. I had different PUK models in my workshop already – the PUK 3s, PUK 04 and now the PUK5 – and every new model has offered an increased accuracy and improved welding results. That is why the PUK has become one of the most important pieces of equipment in my workshop. I think every goldsmith workshop needs a PUK to speed up the jewellery repairs and production. You may take anything but my PUK from me!!! I use it for everything made of gold, silver, steel, titanium and platinum. I work easily on claws without having to remove the stones before. The PUK is perfect for fixing the parts prior to soldering, for different micro repairs and also allows me to work on watches (crowns, shafts, gears and bracelets). My PUK is a PUK3s professional plus and since I bought it, it paid for itself within the first six months already. I regard the PUK as an essential tool for manufacturing and repairing jewellery and can't imagine working without it. Doing jewellery repairs, the ability to add small areas of metal is vital and was missing for the first 25 years of my time as a jeweller. Then I heard about the welders that were becoming available so I bought a Lampert PUK3S and several years later I am still using it for most of the repairs that I do. It paid for itself in the first year because it saves me so much time. It opens up new possibilities such as repairing bracelets without having to refinish them all over, retipping stones like emeralds without removing them, tacking things together before soldering, repairing porosity etc. In most cases it's faster and cleaner than soldering. I regard it as an essential tool for manufacturing and repairing jewellery and can't imagine working without it. The PUK has saved me so much more time allowing me to do more work in a day improving productivity. No goldsmith should be without one. 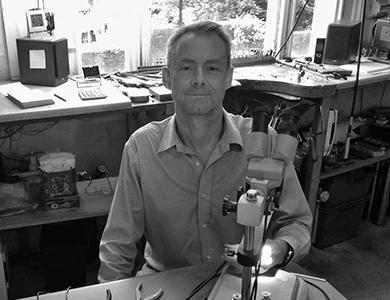 I have been a goldsmith for 10 years now. Now with this fantastic new PUK I have moved away from using a naked flame and I mainly use my PUK for most of my repairs, its faster, cleaner and when working on some delicate stones such as opal or emerald, the repair is always safe. It has also saved me so much more time allowing me to do more work in a day improving productivity. No goldsmith should be without one. 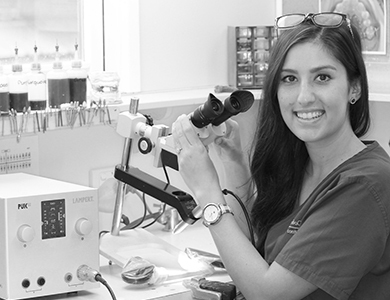 Orthodontic soldering is now a thing of the past. The possibilities are endless with the PUK D2 TIG welder, many jobs were not possible when I was limited to soldering. Orthodontic soldering is now a thing of the past. TIG welding is far superior in every way. The possibilities are endless with the PUK D2 TIG welder. 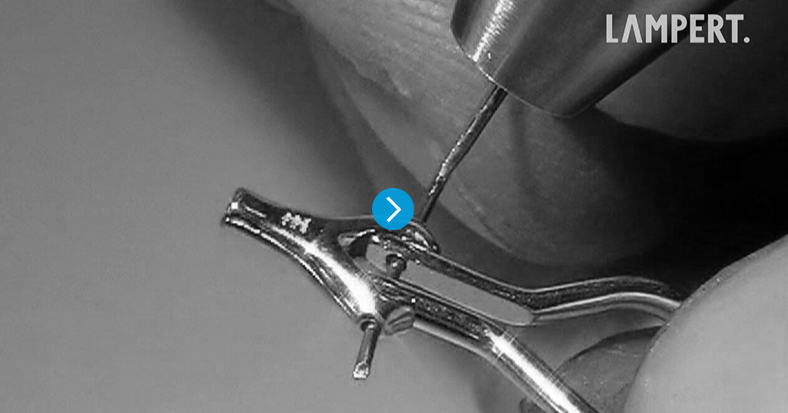 Preparation is minimal and joins are stronger and smoother than soldering. Since I have been using the PUK D2 I have not had any appliance breakages. Many jobs were not possible when I was limited to soldering. Now I can add small attachments to my appliances with little distortion from overheating. Intricate designs are easily and quickly added to any job with minimal preparation. Almost no finishing and polishing is needed saving much time and money. 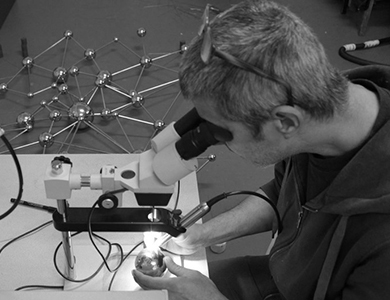 Working under the microscope makes welding much more precise. Not only is this PUK D2 excellent, the Lampert ambassadors are also very helpful. I had many conversations with them and they were more than happy to help. They always urged me to keep in touch as they want everyone to appreciate this machine as much as they do. PUK not only solved many of the problems for the specific artworks in mind, it opened the door to many new ideas that are now possible! "You know how some of your best ideas border on the actual doable technology? As a multidisciplinary artist, my various visions often look beyond that technical border. In many cases I must invent the tools necessary, and pursue with considerable improvisation and limitations over years. In 2013, I wanted to make artworks of pre-polished stainless steel that would be very difficult to polish after normal TIG welding due to narrow access angles. The amazingly different PUK solution: I was very surprised and delighted to find out about the PUK, and was treated to an unusually terrific demo of it in my studio. This is a machine I could never have ‘invented’, or even imagined! And it not only solved many of the problems for the specific artworks in mind, it opened the door to many new ideas that are now possible! And not to be overlooked: the PUK is made in Germany to highest standards, and the support can’t be beat! 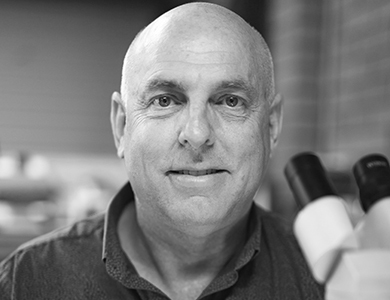 Lampert has proven to me to be an innovative company that cares about quality, but also knows that what they are producing, solves problems and opens your creativity." No seam and no porosity. The PUK was already paying its own way. 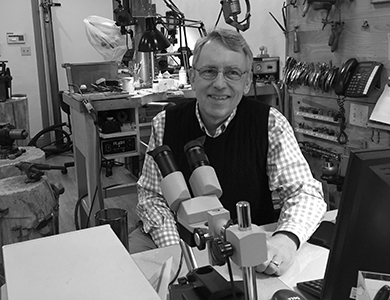 I have been working with precious metal for almost 50 years and some of my tools were passed on to me by a goldsmith who began work in about 1920. The PUK settled into a workshop where the anvil, planishing hammer and draw plates are used daily. When the PUK arrived I had a problem to solve. I had just finished a custom ring with a 2.25 carat diamond set in two very wide prongs. I hadn’t gotten quite enough platinum over the diamond to feel secure. After about 5 hours of practice with the PUK I was able to add 0.75mm of clean platinum to the top of the prongs and hammer it down over the diamond. No seam and no porosity. Just like the extra platinum had always been there. The PUK was already paying its own way. I not only use my Puk welder for difficult jewellery repairs, it’s used in my workshop every day. 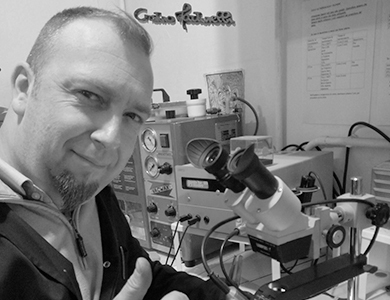 "I was on a hunt for a tool machine that is going to help me to make life easy doing fine soldering to chains, retipping claws on pieces without wasting too much time or money. I guess in the last 5 hours of a Jewellex show being the last day, this was going to be a challenge that I never knew was going to make my dream come true. Walking down one of the aisles passing jeweller after show room, I saw a guy doing something weird but it was flashing spark lighting, this drew my attention. A dream started to unfold at that very moment, I stood and watched this gent looking through a microscope and doing something that had blown me away, welding two pieces of metal together. I started asking questions - can you solder, weld a bracelet together without taking coloured stones out, his reply was 'yes', can you weld new claws on to a ring with stones and or coloured stones again 'yes'! – I asked please can I try, so he stood up and showed me to set up to suite my vision eye focus and I started welding ok at first it was messy, I sat for over an hour experimenting and I was glued to that chair. Honestly, at this time I just had a million mind flashes of what I was going to use my Puk 3 for and how it was going to work for me making life easy and more money with less stress. Well its now two and a half years later and I have not only used my Puk welder for difficult jewellery repairs, it’s used in my workshop every day. I have also applied it in the Opticians world, helping to repair broken frames of glasses, all makes and metals types. It’s amazing, most repairs you cannot even see the repair, as being a micro weld. The real magic using the Puk there is so little heat you hold the piece in your hand and no burns. I can just say to the team at Lampert never stop creating new technology you guys are amazing I don’t know what I would do without my Puk welder." You are interested in the possibilities of use of our fine-welding devices? Or you are searching for one or another tip on working with your PUK? Then just sign up for our Workshop-News on this webpage. We do not offer an ordinary advertising newsletter, our only intention is to support our customers. At regular intervals, we present small suggestions or examples for correct work with the PUK, so you may use our technology as efficiently as possible.